Amazon's review calls this "a gripping study of the problem of European colonialism in Africa. The story relates the cultural collision that occurs when Christian English missionaries arrive among the Ibos of Nigeria, bringing along their European ways of life and religion. 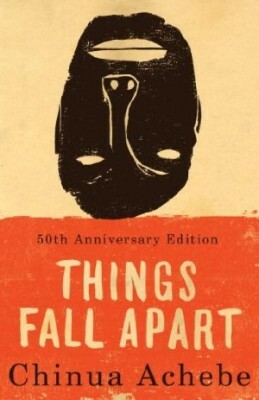 In the novel, the Nigerian Okonkwo recognizes the cultural imperialism of the white men and tries to show his own people how their own society will fall apart if they exchange their own cultural core for that of the English."